Building your own home or developing a site for housing? We’ll help your building project run more smoothly. Trust MTS to be your electrical partner. We work with self-builders, small to medium sized developers and building companies of all sizes. We’ve forged a reputation for honesty, flexibility and adaptability. Our large, qualified team has the expertise to make electrics seem easy. We’ll work with you from initial consultation and design right through to final fix and certification. Call MTS Electrical today 01493 717 206 to save time and money on your project. We have the size and experience to help with your project. Are you a family bravely building your dream home, or a building company developing a multi-plot site? Our experienced electricians will mirror your meticulous standards and ensure your project runs smoothly. We don’t like the phrase one stop shop, so let’s put it another way. We can take care of the entire electrical installation of your building project. We can take care of the entire electrical installation of your building project. Initial electrical consultation and planning. 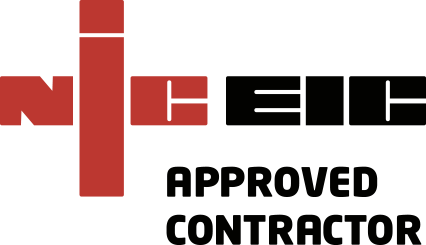 We’re an NICEIC registered approved contractor and all of our electricians are fully qualified to the 17th Edition and work to Part P regulations. Trust us with your project and take advantage of our excellent relationships with other local suppliers and contractors. You’ll find our prices highly competitive. It’s our goal to make your life easier and help you keep costs down. We’re confident we can do just that.